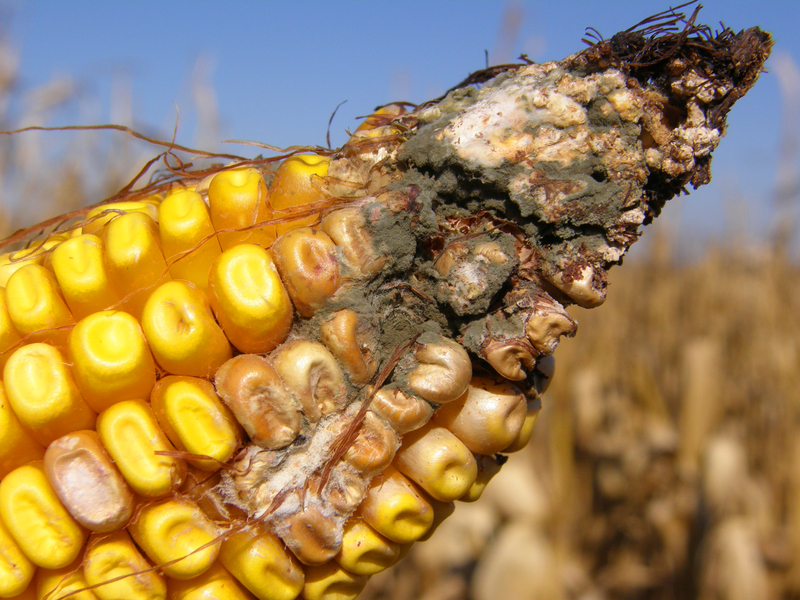 Penicillium ear rot is caused by multiple Penicillium spp. 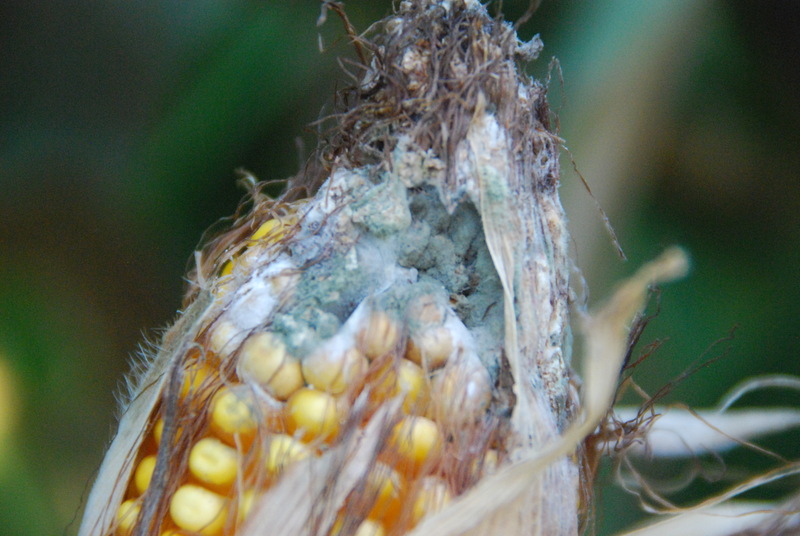 It is characterized by green or blue-green powdery mold growing between kernels, usually at the tip of the ear. 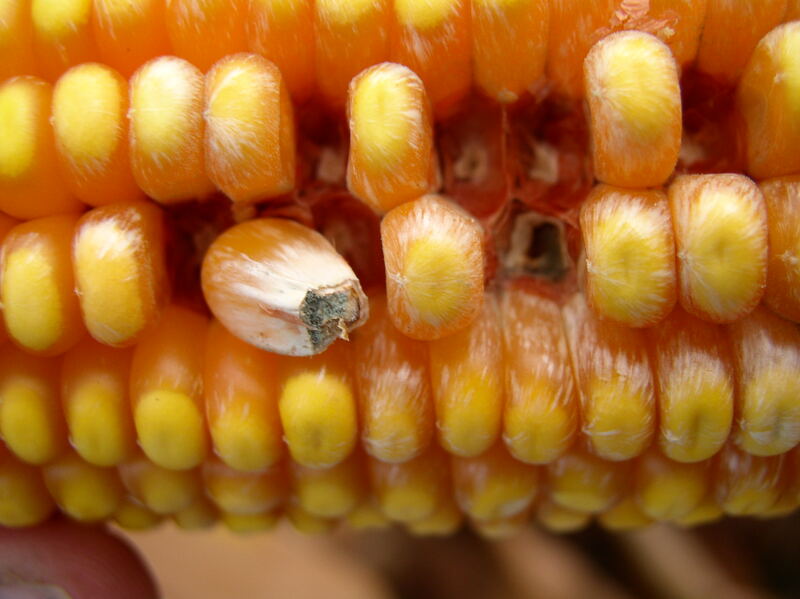 Infected kernels can appear bleached or streaked. 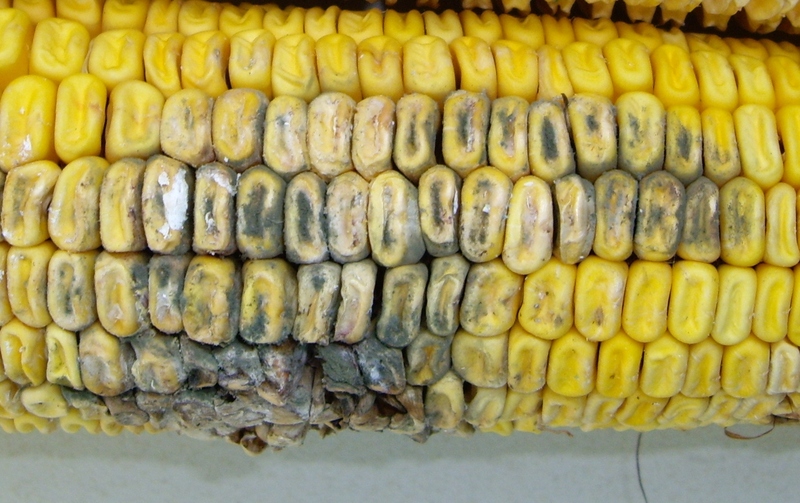 This rot occurs primarily on ears damaged mechanically or by insects, and it is more common in non-Bt corn because of the greater potential for insect damage. Blue-eye on stored grain indicative of Penicillium ear rot. 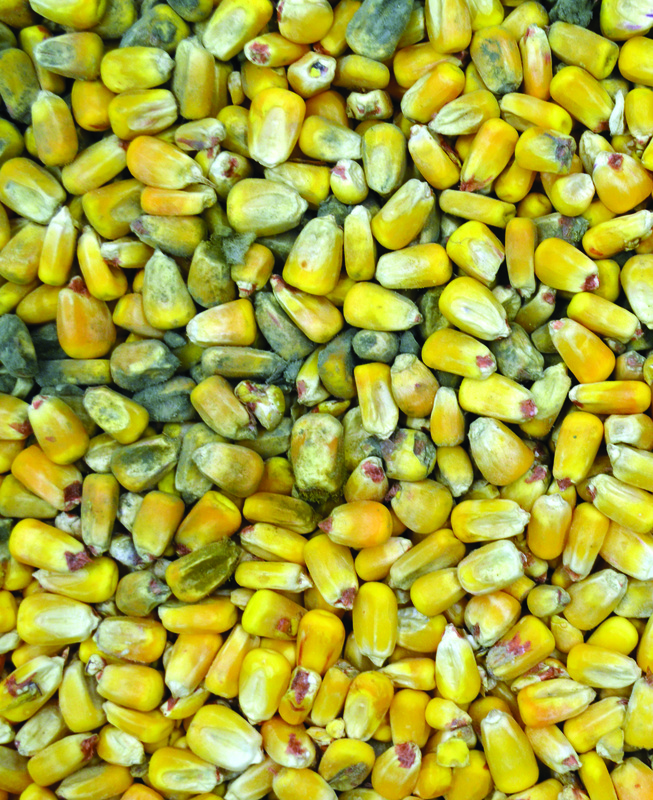 Infected kernels can appear bleached or streaked. Penicillium ear rot usually begins at the tip of the ear. Green or blue-green powdery mold indicative of Penicillium ear rot. Penicillium ear rot associated with hail injury to the ear.